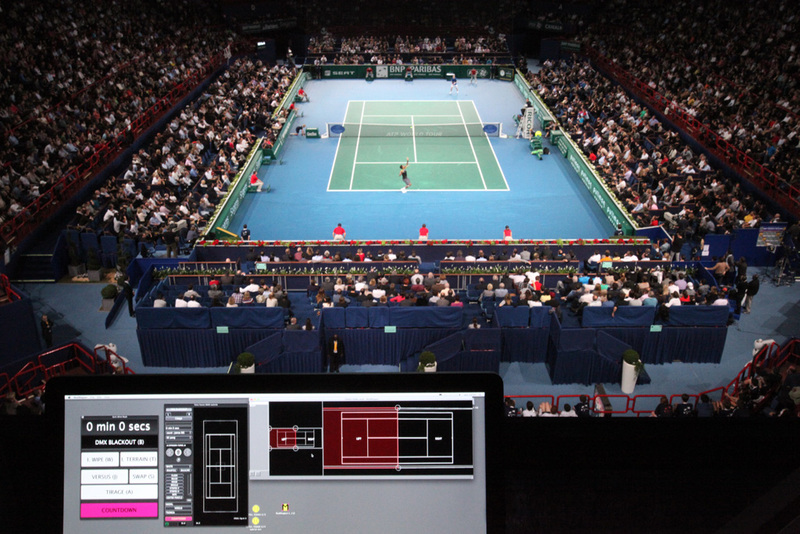 A Quick video report of Tetra.Tennis show, our third consecutive video mapping at the French Tennis Masters series. Running through a QC custom app, as usual, controlling the visuals, the stroboscopes AND the sound this year, triggering sound fx, always in sync’. 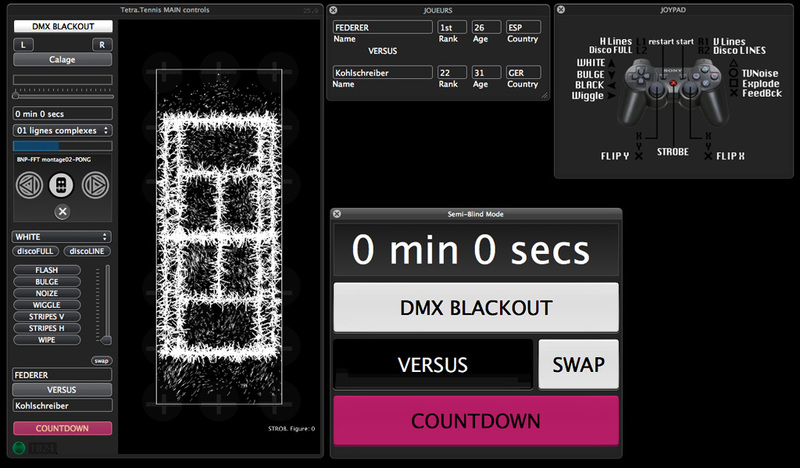 The video mapping side is powered by MadMapper. Hi folks, here’s a quick snapshot showing MapMapper + our custom Tetra.Tennis application playing tennis at the French Masters Series. All running smoothly, thanks to Syphon framework. All controlled with a PS3 joypad. Top Spin style. And yes, the point of view from the front of house is damn cool. Next week we’ll be projecting on the tennis ground of the BNP Paribas Tennis Masters, in Paris / Bercy. 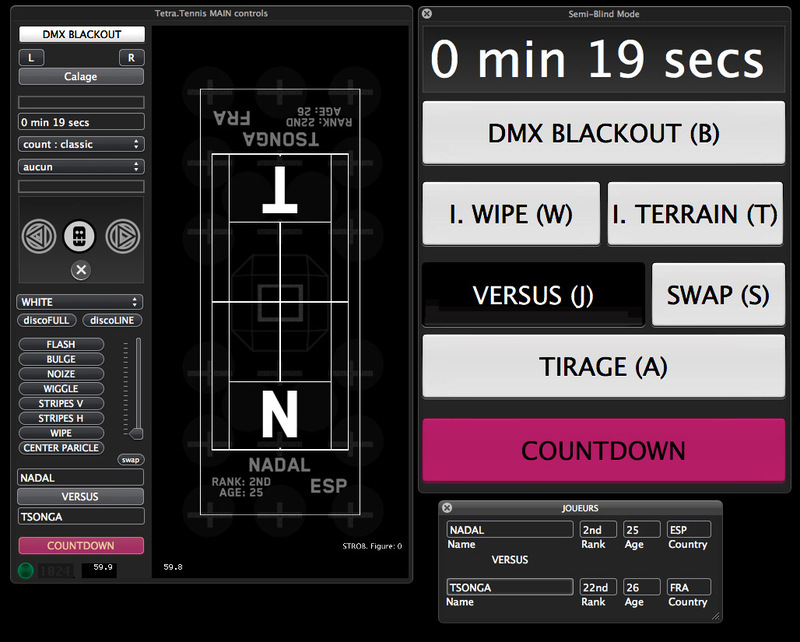 So it was time for some improvements to our Tetra.Tennis custom application. This year we’ll go with Particles, thanks to our ParticlesWarFare QC plugin (available for download), and we’ll run the show through MadMapper – our custom Video Mapping software.